The Coimbatore Institute of Technology (CIT) was founded in the year 1956 by Prof P. R. Ramakrishnan, one of the earliest Indian to graduate from Massachusetts Institute of Technology (MIT).The trust was formed under the name “V. Rangaswamy Naidu Educational Trust” with the aim of propagating knowledge in the fields of science, engineering and technology to the student community envisioning  a unique professional learning order with special emphasis on industrial training. 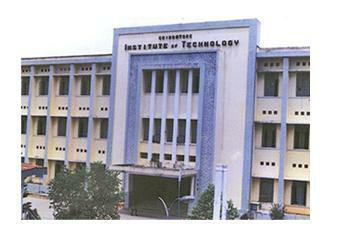 The Coimbatore Institute of Technology (CIT) is one of the leading DOTE engineering colleges in Tamil Nadu, Coimbatore. Founded in the year 1956 it is a government aided institution affiliated to the ‘Anna University’. The Institute was granted independent status in the year 1987 and is recognized by the All India Council of Technical Education. Both undergraduate as well as post-graduate engineering courses are offered in the institute. The total Campus covers an area of about 25.4 hectares. CIT has 40,000sq.m area for Academic and Administration purposes, the ‘Red Buildings’ in the campus housing the laboratories for various departments. Facilities for most sports and games are available in the campus. There is a separate Library block, Auditorium, a Guest House, a Canteen, Hostel blocks and a Bank in the campus. Residential facilities are available for all students, with the hostels housing up to 1700 students at a time. Welcoming atmosphere, comfortable living conditions, healthy diet and health care makes the hostels truly worth living in. There is a hostel committee who looks after the overall functioning of the hostel comprising of a Principal & Chief Warden, an Administrative officer, Deputy Wardens, Matrons, and Resident Tutor. The hostel Campus covers residential area, dining halls, gymnasium, kitchens, play ground and utility centers. All branches of Engineering / Technology & Applied Sciences have their own associations which organize Technical meetings, symposia, etc. in their own respective disciplines. “Interface” is one such event organized by the inter-collegiate technical symposia of the circuit branches of CIT. The event usually goes for two days in the month of February every year with events like online quiz competitions happening during the time. “Technovation” is another event which is a national level technical symposium conducted during January/February every year. Chemical, Civil and Mechanical engineering students get this massive opportunity during this time to show their technical skills to all the participants. “Cyberfest” is yet another national level Student Technical Symposium organized by Computer Technology and Applications Association during the month of January every year.